Brand-compliant and easy to use. Agents can nurture their clients without going rogue. Market a listing in minutes. Build and send a perfect, brand-compliant marketing piece in five easy steps. Then, distribute it via email, social media and display ad retargeting. "rezora is so easy. It takes care of itself." Market when your clients want you to. Schedule your marketing piece hours, days or weeks ahead. 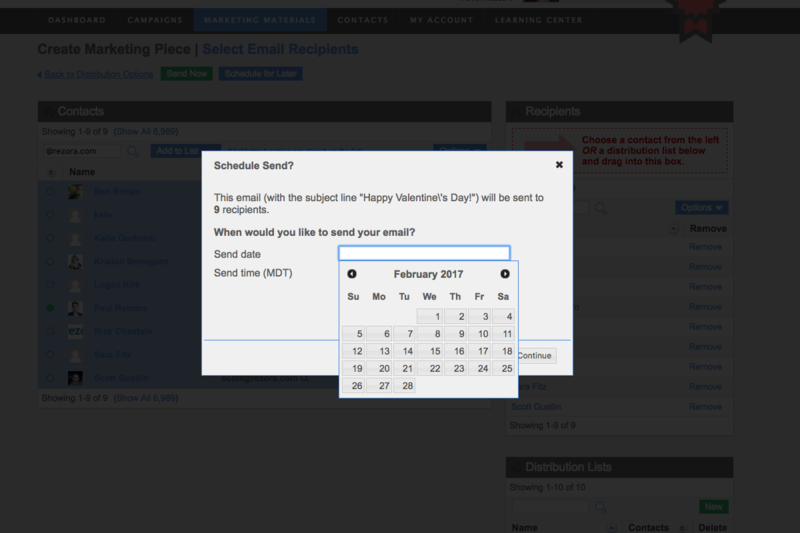 "We love the schedule now, send later feature. Scheduling ahead allows us design and plan marketing pieces at the company and agent level well in advance, ensuring that our emails always go out on time, without delay." Know what's working and where to put your effort. 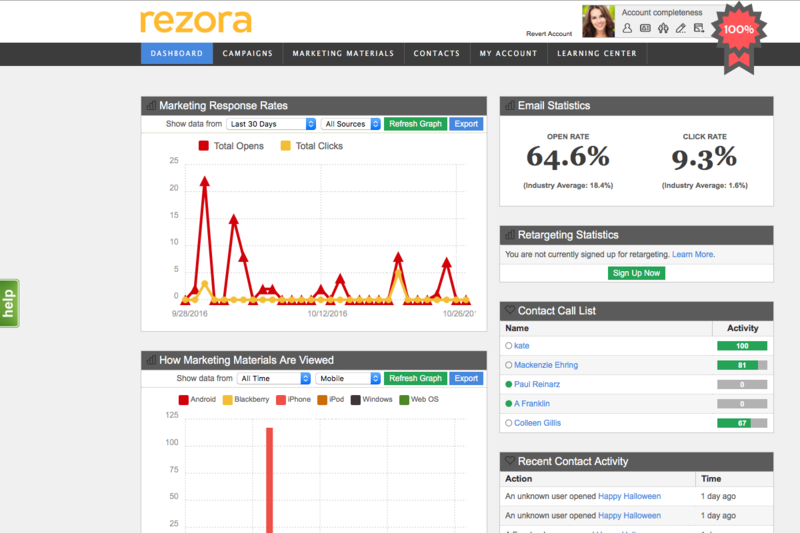 rezora's real-time reporting brings you actionable insight into client behavior, preference and response. "Great way to touch client base with useful information." Want to urge your company to get rezora? Looking for an Individual Account?